To be skinny, and to be a girl: what more could the health-minded alcohol consumer want? 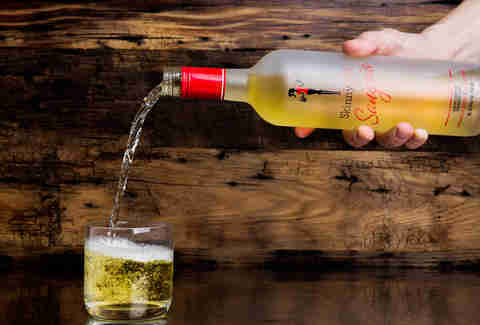 Satisfying this desire is Skinnygirl, the low-calorie alcohol line founded by real housewife Bethenny Frankel, who is a testament to the appeal of extreme youth, even for the most successful grownup. It bears mentioning that Frankel sold the cocktail company for a figure in the neighborhood of $100 million, so she must be doing something right! “But how do they taste?” the imaginary reader asks. 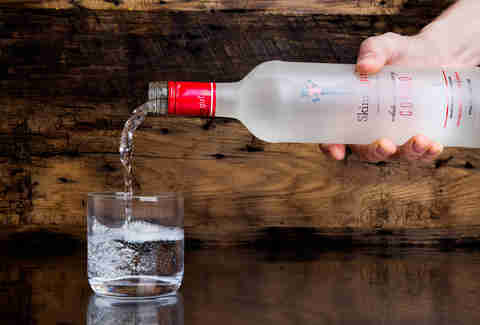 Well, we drank every single one of Skinnygirl’s ready-to-serve cocktail flavors to find out. With this information, you’ll be well on your way to skinniness, and girlishness, in no time. Tasting notes: For fans of white grape juice, when you just can't get enough of that white grape juice flavor, and wish it had some sweet wine thrown in. This is what I picture a night in Barcelona to be like, if it were actually a night in Orlando, Florida. 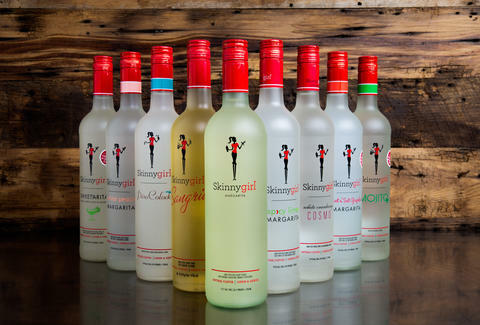 Tasting notes: "If only the Skinnygirl margarita were sweeter," said someone, and others agreed. Sweeten it they did, with a fun little apostrophe thrown in to jazz up the drinking experience. It also has less alcohol than the original -- a big minus. Tasting notes: You have to like piña coladas, and even then, you have to REALLY like piña coladas. This seems like it could be frozen into a lollipop form, and it would be more palatable. 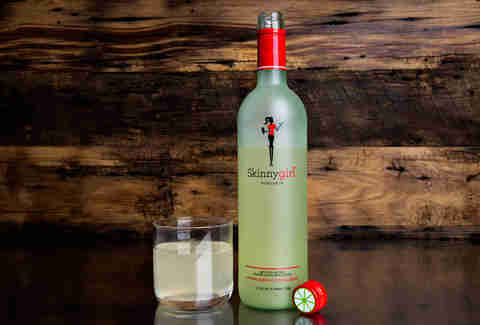 Maybe that's the next move for Skinnygirl? Skinnypops? Tasting notes: "Everyone." "No one." These words have special meaning in the Skinnygirl universe. It is true, however, that I cannot disprove that everyone loves a margarita with a kick. The kick was pleasing. But it was reigned in a bit by the way it resembled what Pixy Stix with dashes of cayenne might taste like. Tasting notes: Heavy on the sweetness, and could've used more mint, but not half bad! Not half good, either. If only there were some sugar stats given on the nutritional info; instead, the back of the bottle displays a note from Bethenny herself, telling us that the Mojito is the perfect complement to a girls night out or in. Skinnygirl Mojito: For literally any occasion. Tasting notes: It's the original, and surprisingly solid! You've got your lime, your tequila, your agave, your reduced-calories-but-barely-notice-they're-gone-because-it's-so-delicious-yet-guilt-free flavor. What more could you want? Tasting notes: This one is pretty "vodka-y," in a good way. Love that the cranberry astringency helps balance out the sweetness. Or is cranberry "sassy," instead of "astringent?" What the company says: "Quite simply, it's citrus meets delicious with our newest low-cal gal. Yep, we have managed to pull off the near impossible, creating yet another spinoff that's as good as the original!" Tasting notes: Skinnygirl is a company dedicated to making the impossible -- or near impossible -- possible. Who would've thunk that a spinoff could be as good as the original? I'm a grapefruit sucker from way back, so this one reminds me of breakfast. That's always a good thing for an alcoholic drink, right? What the company says: "White Peach boasts premium Silver Tequila with sweet agave nectars, but adds in a unique twist with sweet ripe peach and hints of lime. But don't worry - this one's low-cal too." Tasting notes: Do Skinnygirl loyalists freak out every time a new flavor is released, thrown into fits of anxiety over the possibility that CALORIES might be a part of the "unique twist"? This one smells like a peach Jolly Rancher, and tastes... like a peach Jolly Rancher. Amazing! Add to that the fact that this has a higher alcohol content than most of the other cocktails, and I'm ready to kick back with the girls and enjoy an evening of peach-flavored real talk. I'm not sure I feel any skinnier after this experiment, but I've certainly broadened my palate to include the diverse, agave-sweetened world of ready-to-serve cocktails -- with none of the "guilt" that comes with consuming calories, of any kind, at any time. Anthony Schneck is the health editor at Thrillist, and is never drinking again. Follow him @AnthonySchneck.